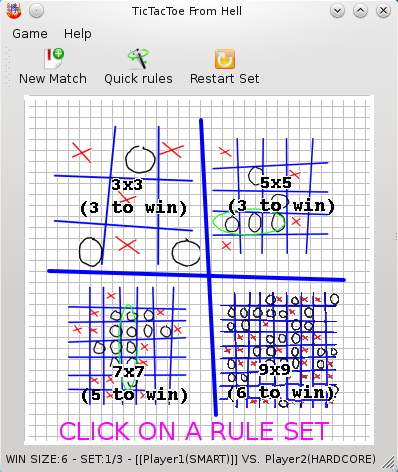 The TicTacToe game with animated graphics simulating hand drawing and many game variants. You can play with your friends locally or with Internet. Obviously there is also a 4 levels AI.